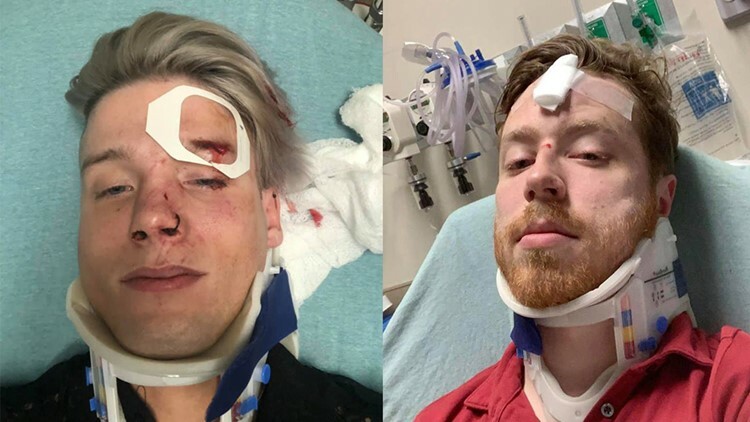 AUSTIN, Texas — After an alleged attack left a gay couple beaten and bruised, a group of volunteers is trying to make streets near Austin's so-called "gayborhood" safer. "It sparked something very deep in me and very personal," Collin Acock said. "I got fed up, and I was like, 'You know, it's time to bring back the rainbow guard." Acock formed the "Rainbow Patrol" last Tuesday after learning about the incident. "It's supposed to be our playground, and it feels like there's some bullies on our playground, and that's not how we do that here," Acock said. According to Austin police, the incident happened on Third Street and Congress Avenue in downtown Austin just before 2:30 a.m. on Jan. 19. The couple, Spencer Deehring and Tristan Perry, had just left a bar called Rain on 4th before the attack happened. Pictures from their hospital beds shows some of their injuries. "If everyone keeps telling us that we're the best city in the country, then those sorts of things shouldn't be happening," Acock said. The group's goal is to walk around -- donning reflective vests and flashlights -- and provide a sense of safety as people leave the gay bars on Fourth Street. So far, the "Rainbow Patrol" has 22 volunteers, and at least 10 of those will be patrolling the streets this upcoming Saturday. Last Saturday, on their first night on patrol, they walked from Third Street to Ninth Street and from Congress Avenue to Guadalupe Street. "It's kind of a work in progress. We're figuring this out," Acock said. "Where do we need to be? Where are the dark spots?" 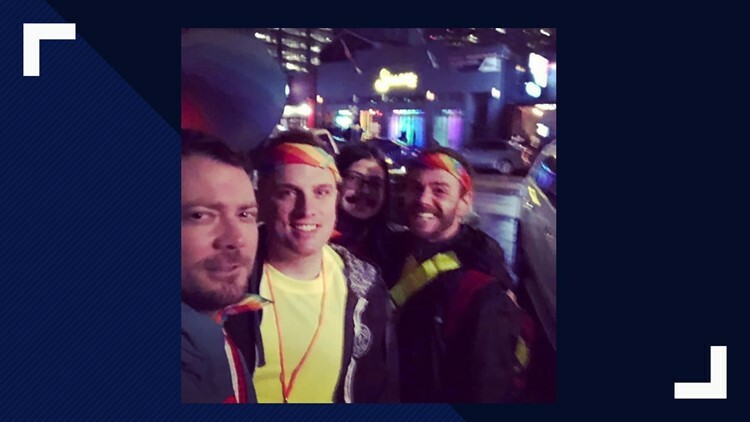 James Huddleson, who joined the "Rainbow Patrol" after Acock posted about it on Facebook, told KVUE he wants to make sure people, especially in the LGBT community, feel they can go out freely. "No one should ever have to feel [they] should have to live caged like that. They should live to be free in everything," Huddleson said. "We can't let fear take over and people not enjoy their lives." Acock told KVUE Tuesday evening he's already had conversations with an Austin police officer regarding the group's goal, which is "non-violent, non-confrontational, de-escalation, distraction, and protection." "We're totally peaceful, not going to be carrying in any way shape or form," Acock said. "We have whistles. We have flashlights. We have reflective gear. We're loud We're visibly loud." Acock wants the group behind the attack to know his group is watching. "We're here. We see you. We see what you're doing. Not here," Acock said. Right now, the "Rainbow Patrol" meets on Saturdays from 11 p.m. to 3 a.m. If you'd like to volunteer, you can sign up here.